New paper in Ecology Letters! 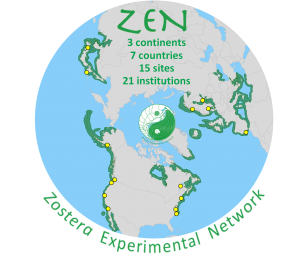 ZEN The first paper from our cross-cite experiment program is now published online at Ecology Letters! Our results link global and local evidence that biodiversity and top–down control strongly influence functioning of threatened seagrass ecosystems, and suggest that biodiversity is comparably important to global change stressors. See the press release and photos on our blog.